not a square, nor a round shaped card. I cut that wavey window with my Silhouette, stamped and colored the boat from Create A Smile - Underwaterlove and added some clouds and twine. Super simple, but in some way eye-catching. Some drops od glossy accents are my finishing touch. Hope you like the card - it's time to hop over to Anni's blog to see what she created. 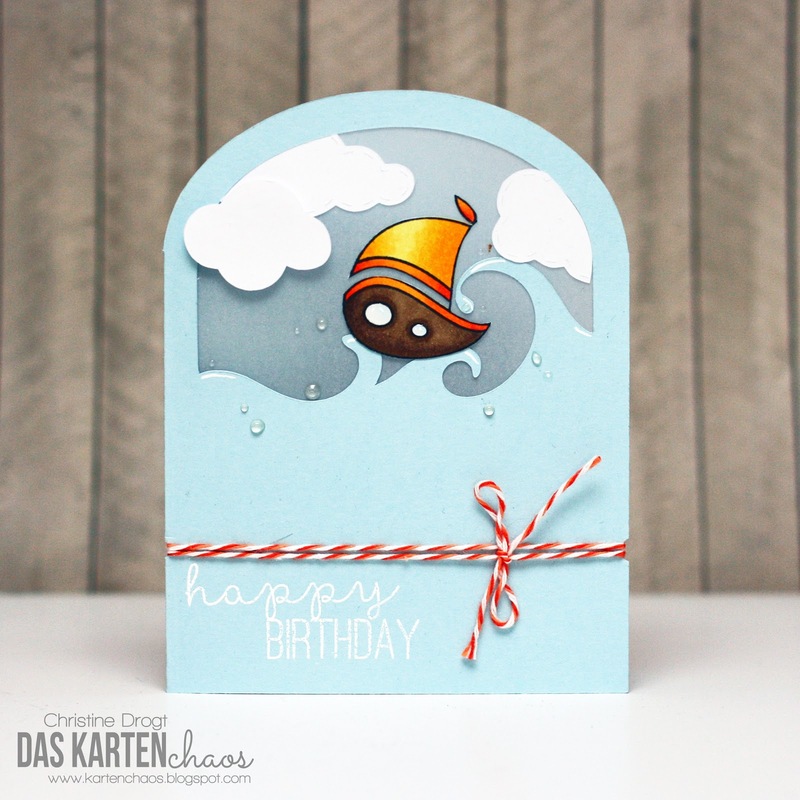 Du hast shaped cards in eine neue Dimension gehoben! Wow! 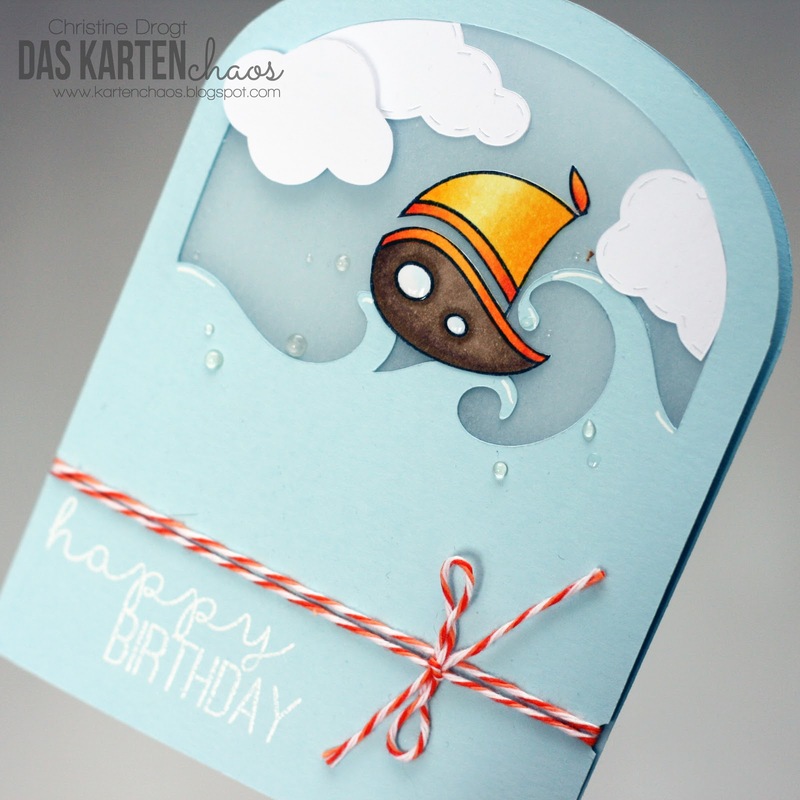 what a totally awesome creation Christine!! love it to pieces!!! ohhh wow ist die cool!!!! Und der Glossy sieht aus wie eeechte Tropfen!!!! !